The Central Pollution Control Board (CPCB) on Saturday said that the air quality of Delhi's Lodhi Road area remained poor with the levels of prominent pollutants PM 2.5 and PM 10 above normal. 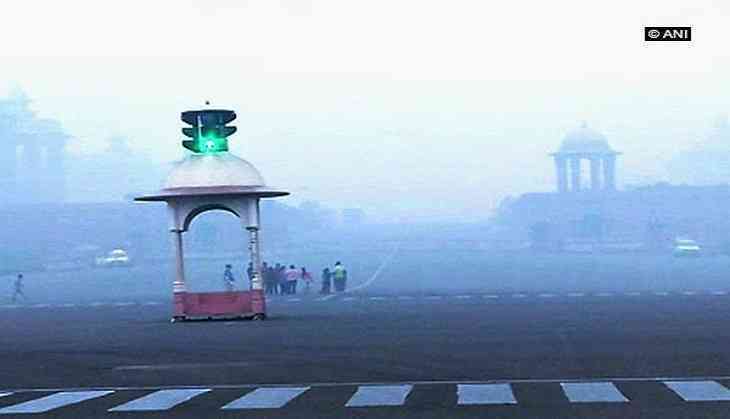 Delhi's air quality index was measured at 311 particulate matter (PM) against 355 (PM) measured a day before. Several places in NCR, which were earlier suffering from 'severe' air quality on Thursday, saw improvement with the CPCB recording air quality index (AQI) at 325 in Haryana's Gurugram (against 354 on Wednesday), 321 in UP's Noida (344 on Wednesday), 352 in Ghaziabad (402 on Wednesday) and 372 in Rajasthan's Bhiwadi (417 on Wednesday). During this week, cold and dry north-westerly winds that were bringing toxins from neighbouring Punjab and Haryana due to stubble burning there to Delhi had changed into warm but moist south-easterly winds, thereby giving slight breather to the Delhi-NCR for next two to three days.